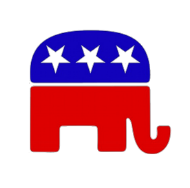 At our biennial meeting on January 7, 2017, the San Juan County Republican Party held its elections to the new two-year term of its Executive Board of the San Juan County Republican Party. Those who were elected precinct committee officers were eligible to vote. Chairman: Nathanael Butler, San Juan. I have been involved with the GOP for about four years. I hold a degree in Modern Middle East Studies/Arabic, speak fluent Thai, and have lived in Cairo and Bangkok. Vice Chair: Lynda Lee Gerpheide, Lopez. She has been active in the GOP for 30 years, in California and more recently in Washington’s 41st LD. Treasurer: Alex Gavora, San Juan. An activist and attorney, we are lucky she has been lending her talents to the Executive Board and the Republican Party for many years. Secretary: Heather Christensen, San Juan. She is a Medical Provider, a wife and mother of two children, and has two dogs. As a member also of Mainstream Republicans of Washington, she believes in Reagan’s “Big Tent” concept—there is room for everyone in this tent. 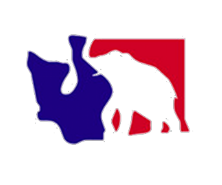 State Committee Woman: Cindy Carter, Orcas. A long-time activist, she is also a former Chair and State Committee Woman of SJ County. Her work and ideas are well-respected throughout the County and the State GOP. State Committee Man: John Christensen, San Juan. He is a retired probation and parole officer and on the Board of the Mainstream Republicans of Washington. I look forward to working with you all! Our next big event is the Lincoln Day event in February or March. More information forthcoming. We would love your help and participation! For more information please contact sjcrpchair@gmail.com or fill out a form under “contact us” at www.sjcrp.org for more information. Please be patient as make our transition from the previous board to the new one. More information can also be found under the “contact us” tab on this website.